I connected with Ms. Ranju Alex, a few days ago when one of my colleagues spoke about her being a very dynamic lady, a super achiever and someone who had contributed so much to the industry. I was told that she deserved to be featured on Indian Women in Hospitality. I had heard of her but didn’t have the opportunity to meet her or interact with her and this was the perfect opportunity to connect with the lady. She was extremely warm and she liked the IWH platform and the kind of work we were doing, it was truly humbling. What I liked about her was that she is extremely forthcoming and someone who can be called the ‘take charge‘ person. It’s a pleasure to share her inspirational and incredible journey here. 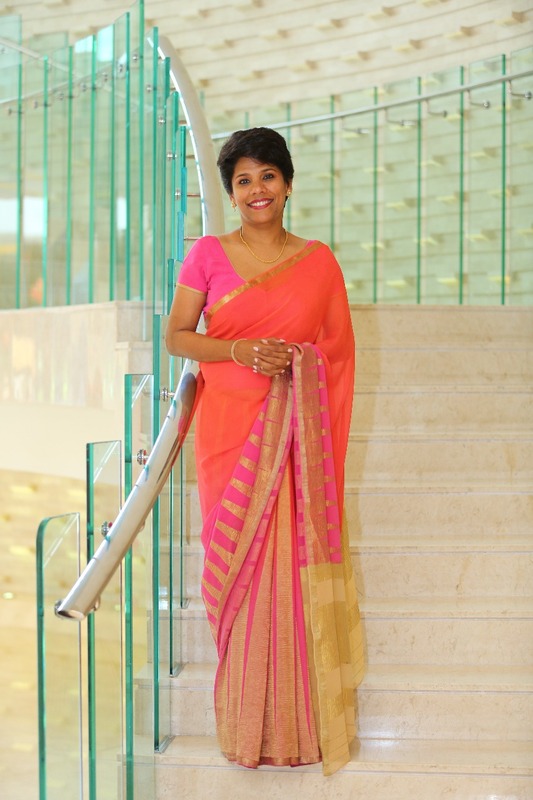 Ms. Ranju Alex is the Multi-Property Vice President, Bengaluru & Kochi and General Manager for Bengaluru Marriott Hotel Whitefield. It is a dual role and she looks after 18 hotels. 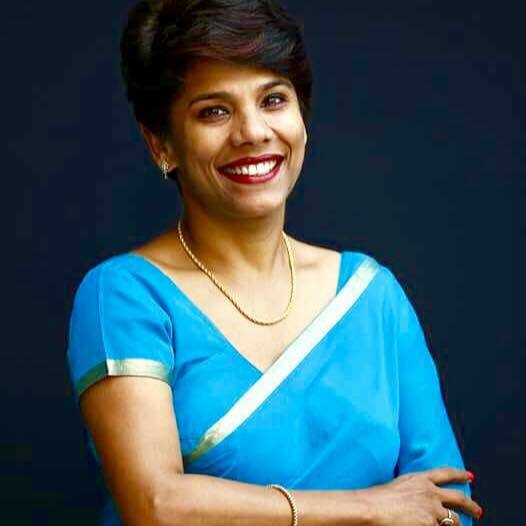 Prior to this, she served as the General Manager of the JW Marriott Kolkata and Multi Property Vice President for East India, Bhutan and Bangladesh. She is a true champion of the values and commitment towards service excellence which encompasses taking care of associates and their career development plans. She enjoys the diversity of dealing with guests, meeting individually with department heads, exploring opportunities for improvement, solving concerns and moving forward together as a team. Ms. Alex is very passionate about women empowerment and advocates it at her workplace. Her work towards gender diversity has resulted in her being invited by several countries like Sweden, Netherlands, UK and the US as a key note speaker on women related issues. 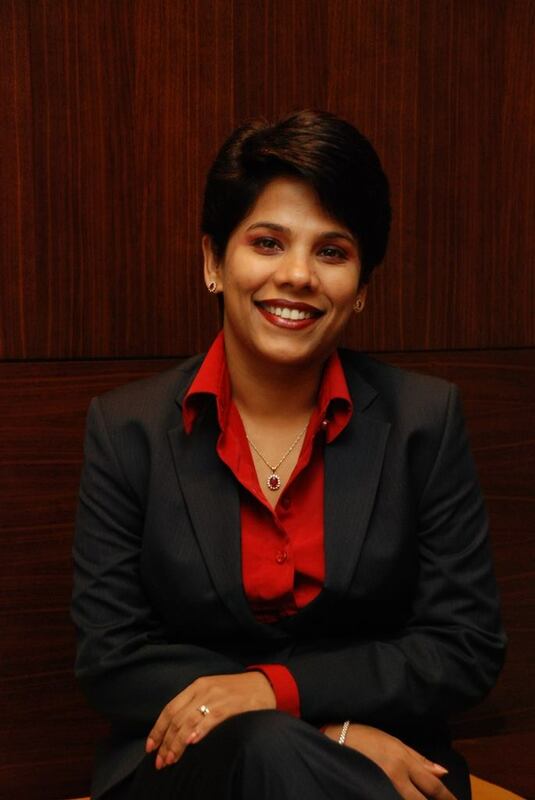 After 17 year tenure with The Oberoi Group, Ranju moved to Marriott International. Over the years she has received various accolades to her name, despite being a super achiever in every realm of her professional career, her commitment to work has never come in the way of her leading a fulfilling personal life. She acknowledges that her husband and children are her greatest treasures. A firm believer in ‘health is wealth’, she is a health and fitness conscious person who loves her sports; tennis and swimming, as much as she loves cooking for friends and family. Travelling is another hobby that she follows, as it allows her to spend quality time with her family. Ms. Alex is an avid reader, having a home library of 6000 books; she is also passionate about charity. She believes in living life to the fullest and maximizing every moment of her time to it’s full potential and capacity, be it professionally or personally. Ms. Ranju Alex says that she is a Bihari by birth but was born and brought up in the Steel city of Durgapur, West Bengal by virtue of her father being posted there. Though she was from a conservative background, she was blessed to have very modern parents who believed in education for girls and their subsequent financial independence. She was educated at the prestigious Carmel Convent School and was an above average student. She was never the topper but strangely she never aspired to be one! Her aspirations were very different right from her early days. She was interested in doing something that her heart and mind wanted to do and not something that the society expected her to. She was not very clear on the exact path but one thing she was certain about was that the path had to be very different. She did try to take the much trodden path of taking up Science hoping to be selected for Engineering but the destiny had different plans. She was struck by a serious neurological disorder which forced her to the hospital bed for over two years with slim chances of survival. Survive she did and that experience reiterated her belief that she needed to make something of her life; where she was given a second chance! and hence started her journey in hotels- a world that attracted her but a world that she had absolutely no clue of! 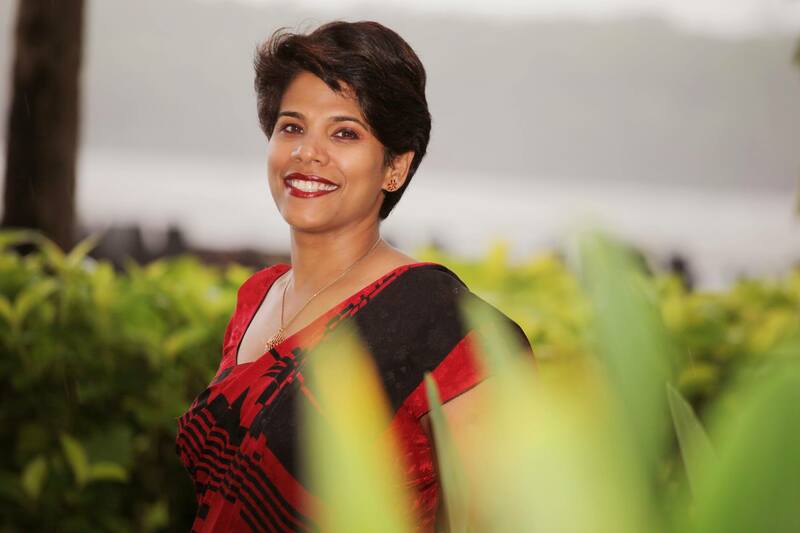 Ranju Alex is very passionate about women empowerment and advocates it at her workplace. Her work towards gender diversity has resulted in her being invited by several countries like Sweden, Netherlands, UK and the US as a key note speaker on women related issues. She is the proud recipient of the “Women of the Decade in Business & Leadership” award at the Women Economic Forum, UK, in 2017. She has also been awarded the Women Super Achiever Award by Femina. Woman achiever in the Corporate Category from Aparajita 2018 by Sanmarg. The Achiever in Hospitality from SHE awards by The Telegraph. General Manager of the Year 2014, Marriott Internationals. General Manager of the Year – Asia Pacific in 2012. Service Excellence- General Manager of the Year, 2012. ‘Wedding Venue of the Year’ by the Stars of the Industry and ‘Award for Excellence’ by Condé Nast Traveller Reader’s awards 2017, among others. IWH, in conversation with Ms. Alex. It is never easy to swim against the tide .It was an easy decision for me but not a very easy decision for the people in my community. There was a huge taboo surrounding this profession and definitely not advisable for girls from a ‘respectable’ family. Strangely enough the biggest concern that no one from my community will be willing to marry me if I started working in hotels. It has been enriching and exhausting at the same time. I love the industry and absolutely love my job. So even after 25 years in the industry, I still come to work each day with a spring in my step. This industry has changed me a lot as a person and for the better. The best part of my job has been meeting several kinds of people from all walks of life. You end up imbibing a lot of good thought processes and mannerisms from them. My personality both behavioral and physical has changed from my gawky college days to a sharp professional. The only con that comes to my mind is the long working hours that we need to put in . I have missed out on a lot of my family life and also on a lot of milestones of my children because of my work hours which is dictated by guest needs . I have not really had one mentor or role model. At every stage of my career I have tried to learn from my superiors and sometimes also from my juniors. There are always two types of learnings in life: What to do and more importantly what not to do . I have always tried to learn, enrich and imbibe at every stage of my career. My biggest win till date has been passing my Class 12th with a First Division. As odd as it may sound, it is the truth. I was severely ill with three cysts growing in my brain which was life threatening, my memory having been completely wiped out due to the medicines that I was put on and my doctors insisting that I do not study any further because of the pressure it will put on my brain. I gave my board exams on a sick bed vomiting every 15 minutes with absolutely no hope of passing it. To secure a first division under those circumstances was definitely my biggest win. My second career highlight has been to move from the Housekeeping stream to General Management. Though it is more common now, it was a rarity 10 years back. My third win and which is extremely close to my heart was to receive the Global GM award by Marriott International at Florida. To have Bill Clinton, Bill Marriott and Indira Nooyi in the same room and to walk up on stage to receive the award was heady. I have a completely different story to talk about in this context. I have faced absolutely no hurdles because of my gender. In fact it is just the opposite. I think women have a natural grace and charm that they bring to the table and which is so very vital in this industry. Both the companies that I have worked for ( The Oberoi Group for 17 years and now Marriott International for 8 years ) have always focused on creating a conducive environment for women which encourages them to work in the industry. In my opinion , our men and the world has evolved considerably and as long as you are focused and hardworking , you will find success irrespective of the gender. When I first heard about it I was very impressed. This is a platform which is very powerful with so many strong individuals sharing their views, holding hands and uplifting the world of women professionals. I am honored to have been asked to pen down my interview. I look forward to hearing from the other ladies from the group and if my story can inspire even one person out there, I would be so pleased. My only advice to them is that each of us have a special place under the sun. We spend half our lives comparing our journeys to others not realizing that each journey is different. We should focus on concentrating on our aspirations rather than constantly trying to look over our shoulder to keep tabs on others. For all the female students and professionals I have to stay: Breaking the glass ceiling is not enough anymore …. We need to break them and then dance on the glass pieces!!! Our life , our career and our quality of life is completely in our hands . The basics of hard work , passion and focus never go wrong . One thing that we always disregard in our bid to make a career is our own self. It is a very common saying with working women and especially hoteliers that we do not get time to spend on ourselves. That is something I would encourage everybody to work on. Whether it is working out in the gym to enhance your fitness or whether it is just an outing or shopping to enhance your soul ….. Spend time with yourself and love yourself!!! The only person who can make you truly happy is you yourself!!! Go for it!! What a conversation that was, power packed just like the lady herself.